Countless studies have shown that women and girls are underrepresented in science, technology, engineering, and mathematics (STEM). Furthermore, the gender disparities revealed in the research literature start early, persist through higher education, and continue into the workforce. A poll administered by the American Society for Quality revealed that 24% of boys showed an interest in an engineering career. Only 5% of girls responded similarly. At the community college level, a 2008–2009 study found that women earned 62.1% of all associate degrees, yet men comprised at least 70% of graduates in engineering, mathematics, and computer science. The United States Department of Commerce reports that women hold less than one-quarter of STEM-related jobs in the United States, despite making up half of the country's workforce. The results are in, and they consistently reveal the need to capture a girl's interest in STEM as early as possible and support that interest for as long as possible. If we are going to equalize the gender gap in STEM education and careers, it is going to take rigor and results. This article will examine the tools used by one STEM education program to assess rigor and measure results. Project Scientist is a 501(c)(3) nonprofit organization dedicated to educating, coaching, and advocating for girls and women with a passion, aptitude, and talent for STEM. 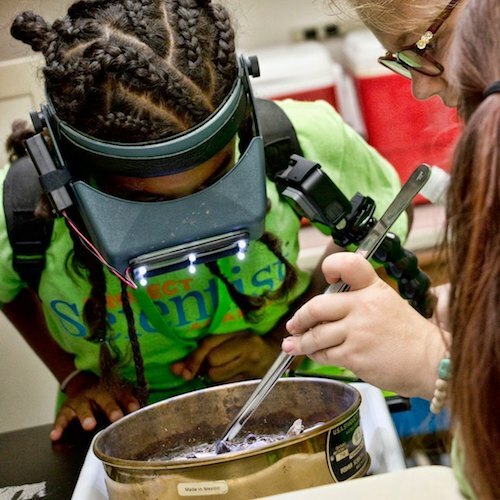 Core programs include Project Scientist Academy, a six-week summer science intensive for girls ages 4–12 held on university campuses in North Carolina and California. The organization relies on a Harvard-based tool to assess the rigor of its curriculum. To measure results, the program uses the Draw a Scientist Test, surveys, and statistics on attendance and reenrollment. Dimensions of Success (DoS) is a framework created by Partnerships in Education and Resilience (PEAR). PEAR is located at McLean Hospital in Belmont, MA and is affiliated with Harvard Medical School. The team at Project Scientist chose Dimensions of Success because it is a validated research tool designed specifically for after school and summer STEM programs. In 2016, a comprehensive report was compiled for Project Scientist by David Pugalee, PhD. Dr. Pugalee, director of the Center for STEM Education at the University of North Carolina at Charlotte, rated seven learning activities using 12 dimensions, including purposeful activities, inquiry, and reflection. Each dimension was rated on a 1–4 scale and accompanied by a description and analysis. These ratings and analyses give the Project Scientist curriculum designers valuable insight into strengths, weaknesses, and room for increased rigor. Measuring results is just as important as assessing rigor, and the Project Scientist team relies on a collection of instruments to determine the effectiveness of its programming. This collection consists of the Draw a Scientist Test, surveys, and statistics on attendance and reenrollment. The Draw a Scientist Test (DAST) is an open-ended projective test designed to investigate children's perceptions of a scientist. The preliminary test, held in 2013, showed that it took less than one week for girls as young as four to expand their understanding of who can be a scientist and the types of careers open to women. 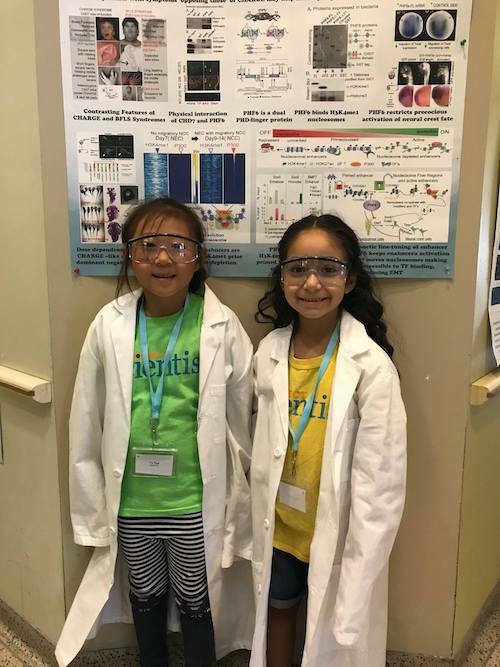 According to a Project Scientist White Paper titled Creating Tomorrow's Scientist, "Girls went from seeing a scientist as a gender-specific role to being something open to all genders and were able to then visualize themselves in similar roles one day." Student and parent surveys and reflections complete the collection of tools used by Project Scientist to assess rigor and measure results. The Creating Tomorrow's Scientist white paper takes readers on the learning process that occurred as the team examined early survey results and expanded the tool to capture even more results. For instance, survey responses relating to a career in technology revealed the difficulty in defining technology for a young audience. Six years after the publication of the white paper, student surveys continue to inform and enrich Project Scientist programs. Parent participation and satisfaction are essential components of Project Scientist's success. Parent surveys measure a number of dimensions including the degree to which parents perceive their daughters' increased interest in STEM, and parents' confidence in discussing STEM topics with their daughters before and after the program. In the 2013 survey detailed in the white paper, parent surveys revealed a high level of satisfaction with the program, and a commitment from parents to continue enrolling their daughters in the academy. The surveys also showed the Project Scientist team that there was room for improvement in certain areas such as outdoor exploration and age-specific curricula. Attendance and reenrollment statistics are a dependable source of feedback on student and parent satisfaction with the program at each of the university campuses where programs are held. These measurements help the team assess the effectiveness of each week's academic focus, hands-on projects, and expeditions. Women working in STEM fields can play a key role in shaping the future of the STEM workforce. Project Scientist is always looking for women in STEM fields to serve as real-life role models for girls with an interest in STEM topics. Whether in-person or via Skype, these visits from women in STEM make a tremendous impact on Project Scientist students. Past role models include an FAA flight instructor from Virgin Galactic, a director of cytogenetics, a lead environmental engineer at Duke Energy, and a software engineer at Google. Hosting an expedition is another way to make a lasting impact on girls interested in STEM topics. Project Scientist students go on expeditions once a week to meet role models and practice real-life applications of what they have learned that week. Past expeditions include Virgin Orbit, SpaceX, JetBlue, and Capital Group. When it comes to STEM education for girls, rigor and results matter. In fact, they are the keys to a viable pipeline that starts with girls interested in STEM and ends with a workforce that adequately represents and supports women. To learn more about Project Scientist visit projectscientist.org. Sandy Marshall is the founder and CEO of Project Scientist. She previously founded The NASCAR Foundation, which is now a $5 million organization engaging millions of fans annually. As a mother of two young girls with a passion for science, Sandy remains committed to changing the status quo for her girls as well as girls across the country.